In this part of my Django tutorial I finish up the official Django tutorial, but I plan on making more Django tutorials after this. We’ll cover how to use style sheets, changing the admin pages, changing settings, editing models and much more. If you missed the previous videos, the Django tutorial starts here. Like always all of the code and a transcript for this tutorial follows the video below. /* 2 Change the text color of links in lists. 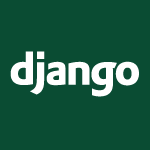 # python -c "import django; print(django.__path__)"